I gotta tell you, this was by far the simplest yet most satisfying thing I've made in a long time! So I blogged recently about the microwave bags I'm making that can be used for cooking foods like potatoes, squash and corn in the microwave. 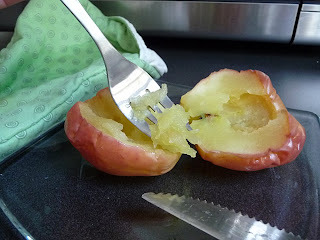 Well, one of the things I list that can be cooked in the bag is an apple. 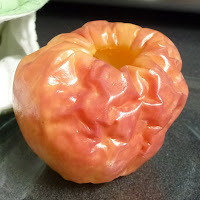 I have never cooked an apple in the microwave nor had I tasted one that was, but a friend of mine has. 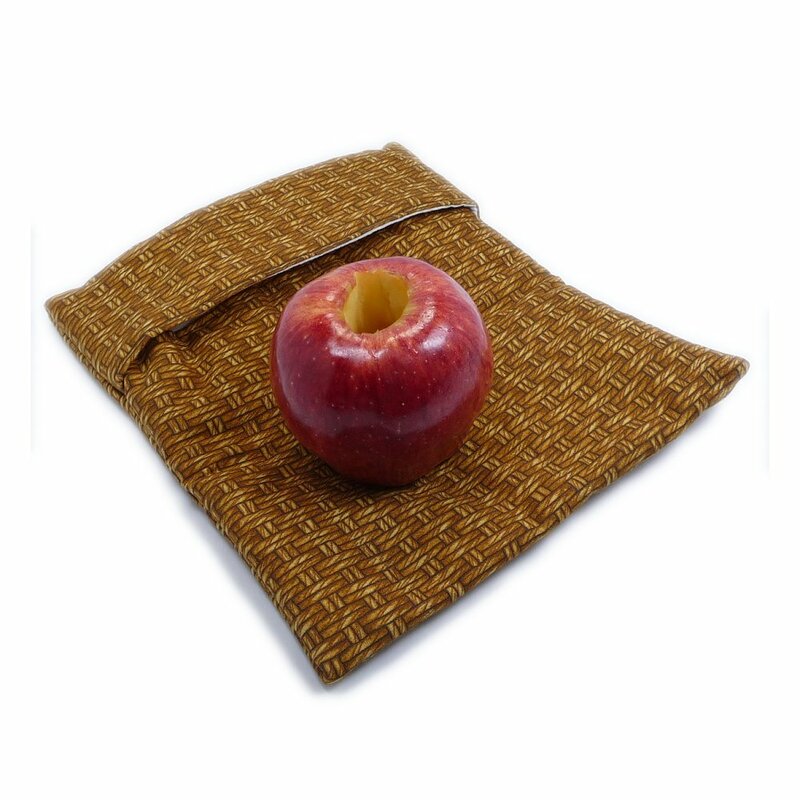 Well, last week I got a convo through my Etsy shop with an inquiry as to just how one would go about microwaving an apple using the bag so, yes, another experiment would be soon in the works. 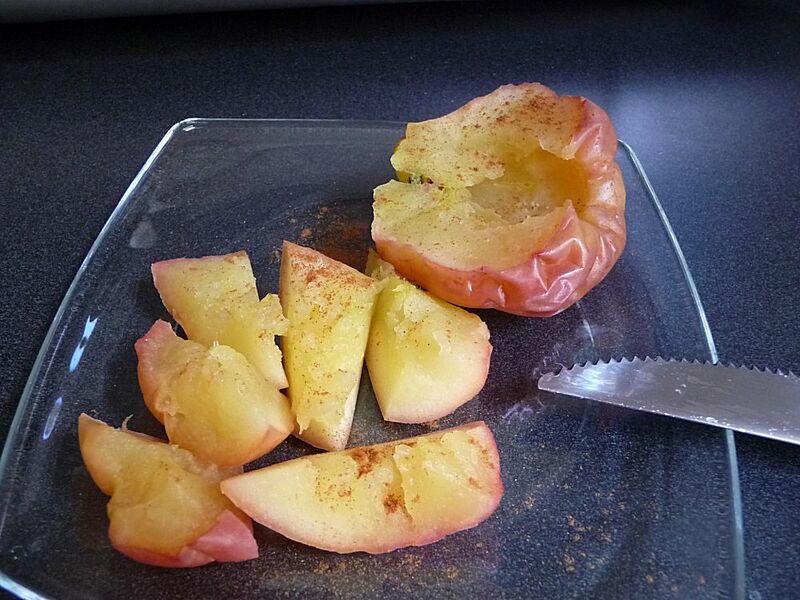 What does a microwaved apple taste like? YUMMY that's what. It's like apple pie without all the sugar and calories! It was the perfect thing to have on a perfectly chilly day in Detroit. I'll bet it would be perfect with ice cream too! It came out very shrivelled! Is your mouth watering yet? Well order up a bag and by this time next weekend you can be enjoying all the goodness of this very tasty and healthy treat. For this experiment I started with a normal size Red Delicious apple. Cut the core out of the center from the top but don't cut all the way through to the bottom. Rinse. Wrap the apple with a damp paper towel and put in the microwave bag so the apple is right side up. Remove from bag and paper towel. Caution: Very HOT!! Cut, sprinkle with a little cinnamon if desired and enjoy! That has seriously got to be the shortest tutorial I've ever done!